Bee Aviation is equipped with state of the art equipment, but we believe that our staff is our most valued asset. Safety, legality, and environmental protection come first. 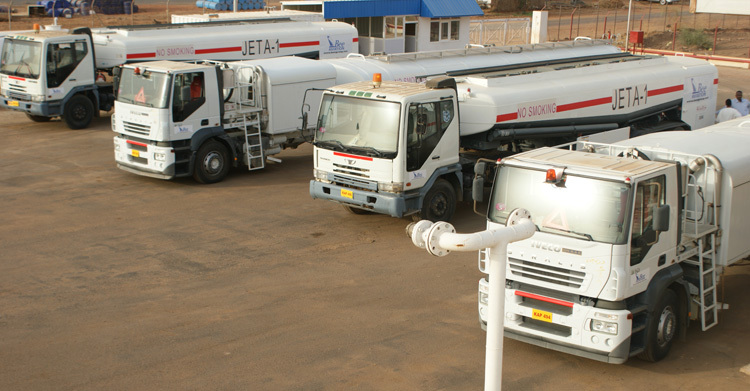 Bee Petroleum is one of the leading companies in the petroleum industry in Sudan. In the last 12 years we have been developing step by step to become one of the top in our field. Bee Aviation is the latest addition to our ever developing organization. We assemble the latest technologies and the best staff to meet the highest professional standards. 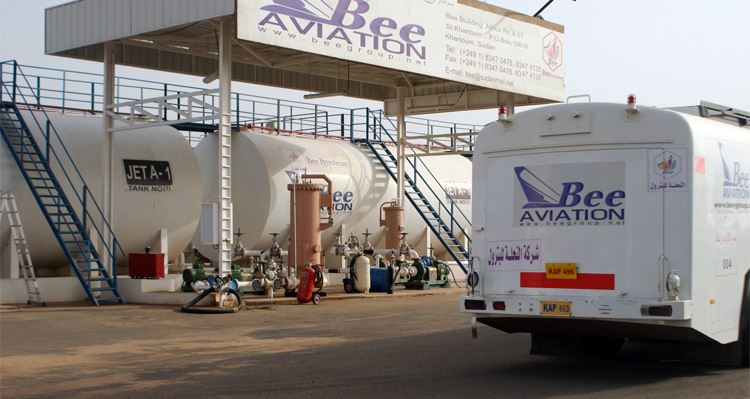 Bee Aviation is part of Bee Petroleum Company, which is a prominent organization in petroleum industry. As a national petroleum company, we would like to join the leaders within the Aviation industry in Sudan. Our philosophy is to work as a team setting standards that will not only meet local industry and international statutory regulations but enhance safety operation and protect the environment. Bee Aviation tried to start were the industry ended. We have taken all necessary measures to promote operating standards, procedures and practices in accordance with changes in company policy, changes in technology and statutory local and international regulations of joint standard operating system. We are using state of the art refuellers. 2 Nuova Ma.na.ro Aircraft Refuellers Consisting of an aluminum tank with a net capacity of 45,000 liters each. And a complete fuelling equipment for an output of 2000 liters/min with hydraulic pump drive, PD meter and filter water separator mounted on a suitable and fully equipped tractor chassis of IVECO AD 190 S 31. 2 Struver Aircraft Refuellers with a capacity of 22,500 liters each. All Nuova refuellers are equipped with elevators and two nozzles to save time and provide refueling in the shortest, safest, and timely manor. All the above listed equipment are the latest in the Aviation industry operated by well trained staff to provide highly professional standards. We believe that our staff is our most valuable added value. And our Bee culture based on safety, legality, and profitability enable us to satisfy our valued customers demands. Fire fighting pumps set (Diesel, Electrical and Jockey pump) Discharge 120 M3/hr. Vertical storage water tank with a capacity of 212 M3. 2 Fixed Foam Monitors and Foam nozzles Model SL-26A with a flow rate of 2500 lit/min. 2 Mobile Foam Trolley MF 140. 100 Water sprinklers for tanks coaling. 6 Trolley Fire Extinguisher 50 kg. 4 Trolley Fire Extinguisher 25 kg. 10 Fire Extinguisher 9 kg. 10 Fire Extinguisher 6 kg. 14 Fire hydrants + Foam Nozzles + Fire boxes. Standby Generator type FG WILSON Diesel generating set. Engine perkins and output power is 110 KVA. The observances of certain fundamental practices in the design of our Khartoum Airport Fuel Farm facilities is considered essential to insure that fuel quality is maintained, and safety and environmental requirements are met. 6 horizontal tanks with capacity 675,000 liters which is considered sufficient to provide adequate working capacity taking in account peak period of airport requirement, supply replenishment and emergency stock coverage. Started with only three employees, Bee Group employs more than eight hundred distinguished staff including administrative staff, engineers, and field workers..